Key Difference: Snails and slugs, both are invertebrate animals which belong to the Phylum Mollusca. Snails and slugs are closely related. However, the main difference between the two is that snails carry a protective shell on their back and slugs lack a protective shell. However, semi slugs have a small partial shell. 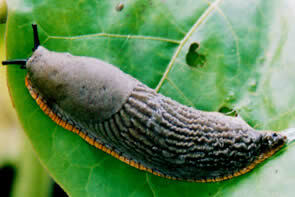 Snails and slugs are both members of a larger group Mullusca. This group or phylum generally includes soft-bodies animals which do not possess any type of body segmentation and often bear an external shell composed of calcareous material. Snails and slugs, both are known as gastropods which mean ‘stomach foot’. This is due to the fact that their internal organs are organized in a way so that their stomach lies above the foot of these animals. There are numerous species or types of snails. Land snails can be found in various kinds of habitat like deserts, forests, gardens, etc. However, most types of snails are sea animals and some are even freshwater animals. Most of the snails tend to be herbivores however, some are omnivores too. Snails propels through a muscle which is known as foot. 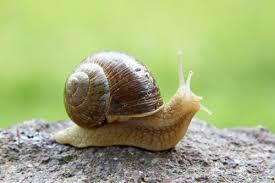 The body of snails gets the moisture by mucus and this mucus assists the snail for its gliding motion. Snails are generally hermaphrodites which means that they contain both female and male parts. Like snails, slugs also belong to the Phylum Mollusca. Slugs and snails both leave a silvery slime trail on the ground. Like snails, slugs are also commonly hermaphrodites. Both have one or two pairs of tentacles on their heads. They eat through radula covered with rows of teeth. Radula is similar to the tongue. An invertebrate animal which belong to the Phylum Mollusca.